Dizu Plaatjies is a performer, scholar and cultural activist who has devoted his adult life to indigenous African music. 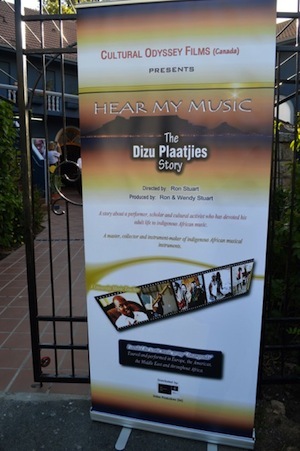 His journey from childhood in the Eastern Cape and Langa Township to concert stages worldwide is the compelling story that is the focus of the documentary Hear My Music: The Dizu Plaatjies Story. Cultural Odyssey Films and WRS Productions (comprised of Vancouver’s Ron Stuart and Wendy Bross Stuart) premièred the documentary on Feb. 15 at Labia Theatre in Cape Town, South Africa. 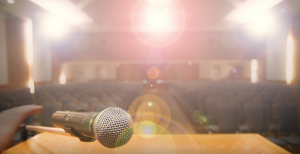 Plaatjies has a vast international following, both of overseas students at the University of Cape Town, where he teaches, and fans of his recordings and concert work. Throughout his career he has maintained a commitment to nurturing a younger generation of artists, and founded the Amampondo ensemble. Among the first African musicians to tour extensively, they became familiar to world music lovers in Europe, the Americas, the Middle East and throughout Africa. They were a personal favourite of the late Nelson Mandela and Bishop Desmond Tutu. Plaatjies recognized the need of local musicians for access to authentic and reasonably priced indigenous instruments, and has embarked on a program of instrument-making with apprentices from the region. His love of traditional African melodies and rhythms from various cultural sources has led to significant “salvage ethnomusicology” work. Apart from his own Xhosa heritage, he has promoted the musical styles of groups throughout southern Africa. Despite his accomplishments and wide recognition, Plaatjies remains an approachable and humble individual. He is at home teaching children in a township school, exchange students at the university, and specialists in African music. On stage, he still exudes the enthusiasm he had when busking on the streets of Cape Town as a young musician in the early 1980s.